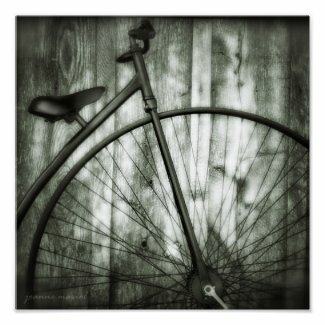 We hope you enjoy our selection of bicycle posters by great artists and talented photographers from around the world. These posters are available in many different styles, colors and sizes... something for everyone. If you are looking for motivational cycling posters or gifts with an inspirational touch, we invite you to view our Great Minds Think Fit™ collections of cycling posters. If you prefer the magnificence and grandeur of yesteryear, you'll love our selection of vintage bicycle posters too. May you find the exact posters you are searching for. Enjoy!